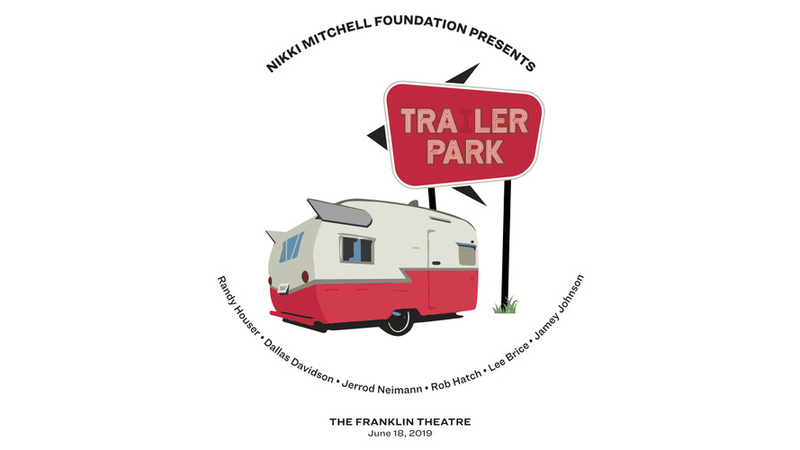 Traler Park, featuring Dallas Davidson, Jamey Johnson, Jerrod Niemann, Lee Brice, Randy Houser and Rob Hatch*, is coming together to perform in the Round for a night of music, song and stories benefitting the Nikki Mitchell Foundation. The Nikki Mitchell Foundation is dedicated to providing comfort and relief for those affected by pancreatic cancer, while raising awareness and searching for the cure. For more information about the foundation and its programs visit www.nikkimitchellfoundation.org. By purchasing tickets to this event, patrons grant permission to Franklin Theatre to share their contact information (i.e. name, address, email) with Nikki Mitchell Foundation. If you have any questions in this regard, please contact Franklin Theatre prior to your purchase.